We strive to answer your emails within 24 hours. However, due to the large number of queries we receive, and because we want to give each email the time and attention it deserves, a response may take 1-3 business days. We thank you in advance for your understanding and patience. Not in Winnipeg? Not a problem! 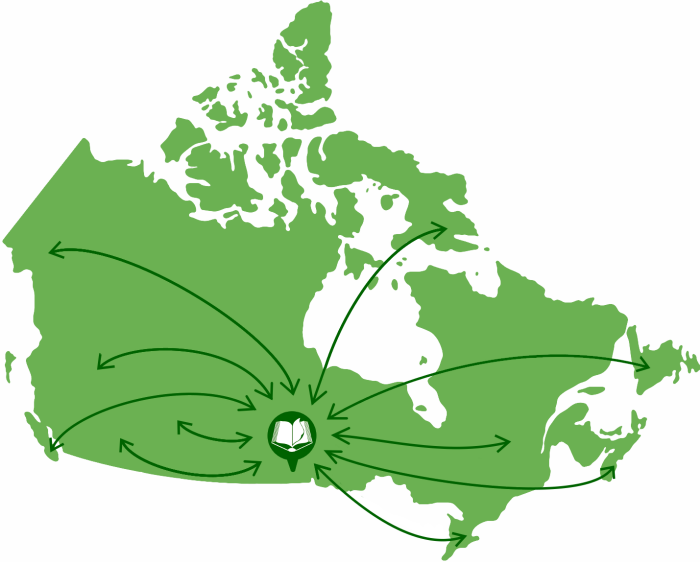 While our operation is based in Winnipeg, we have set up and printed orders for clients in Ontario, Saskatchewan, Alberta, and Quebec—and we're happy to help you wherever you may be in Canada! We can simply set everything up via email or over the phone, and then ship the books to you once they're printed. Contact us for more details.